Black is the new, well, black- or in this instance, black is the new gray according to predicted and current home-trend styles of 2018. As we have seen a steady trend of owners and builders trading the once-adored open floor plan for a slightly more enclosed living space we’re simultaneously seeing the “minimalistic chic” stark-white paint that covered our interiors during the beginning of the decade gradually darken, suggesting that homeowners are moving away from crisp and airy and toward warm and cozy. Within the past decade shades of gray became darker until a medium charcoal was no longer considered an edgy design choice but a standard go-to for a clean and flexible look. 2018 has shown us that there’s a new neutral in town: Black. “The hue is coming on strong in every category according to commercial interior designer Mary Cook of Mary Cook Associates. She appreciates black’s classic, neutral, sophisticated touch and notes it can be a universal mixer… Marvin Windows and Doors launched its Designer Black line this year, incorporating a hip industrial vibe…Kohler has released its popular Numi line and Iron Works freestanding bath in black. Even MasterBrand cabinets are available in black stains and paints,” cited Realtor Magazine. 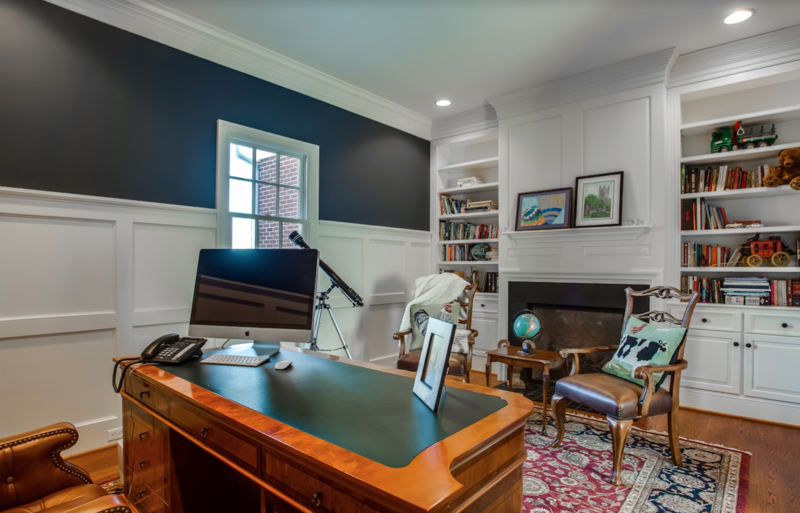 Here’s where Southerners say, “We told you so.” White walls contrasted by black trim is a classic characteristic of the Georgian-style home. Black door and cabinet handles and hinges paired with curtain rods and light fixtures with black bases subtly alter the surrounding aesthetic. 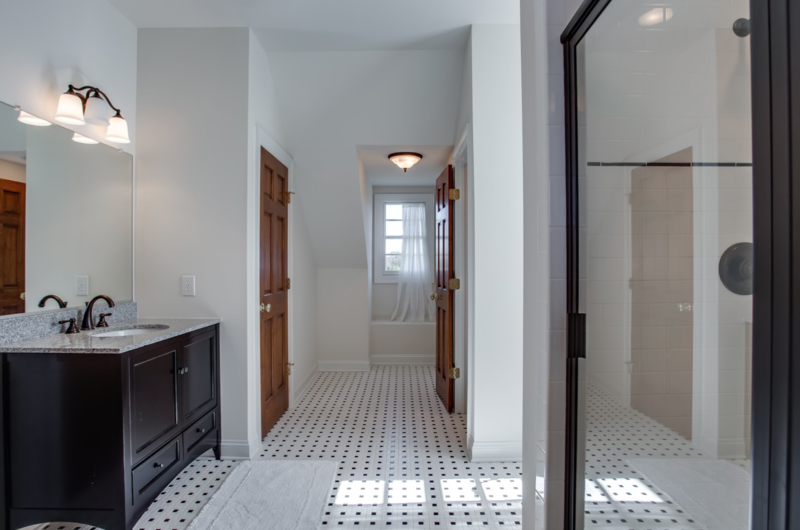 Black is a long-time standard in washroom design (think black and white tiled floors). Take it a step further and swap out your chrome faucet with a black metal. Decorate with a black vanity, bath mat, or black framed mirror. 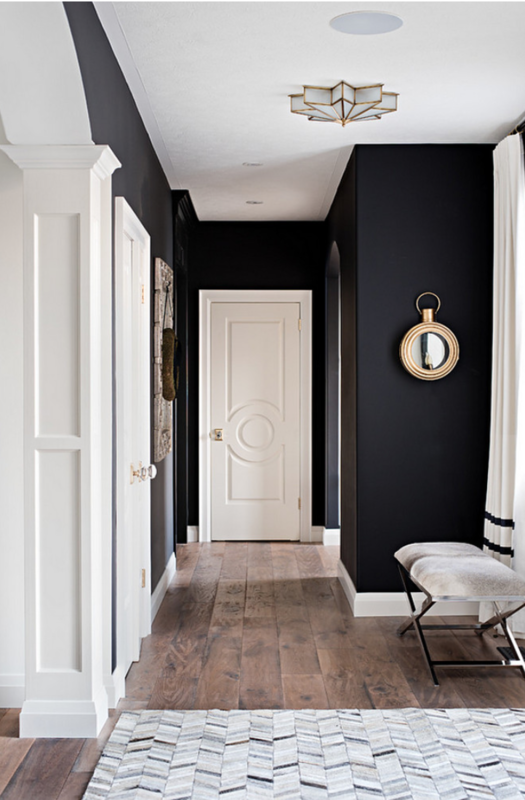 Choose a room to experiment with black-painted moulding, doors, and window frames. Contrast with a white or cream wall paint. If you’re concerned that your black walls will appear too harsh, soften the feel with paint shade in a deep eggplant or choose a black with cool undertones. Above: Aventador Farm. Using black as a neutral accent wall can add character without detracting from the patterns of your space. Home owners will often pair black paint with white decor to settle the fear of getting “too dark.” Play with pastel yellows and pinks, navy blue or forest green, golds and brass to supplement any existing neutral tones.